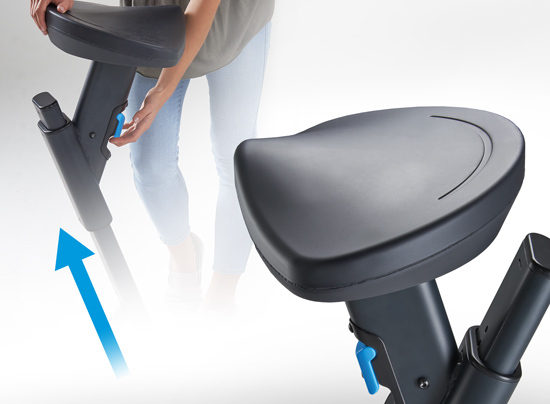 Transform your standing desk into a comprehensive pedal exerciser by replacing your office chair with the LifeSpan Solo. 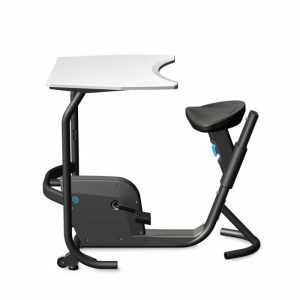 By allowing you to pedal at your desk, the Solo makes the perfect complement to your existing exercise routine, improving heart health, reducing risk of diabetes, and boosting mid-day work slumps. With many useful features, the Solo is light weight, easy to move, and is 100% powered by you, making it the perfect fit for any office space. Ditch your sedentary office chair and introduce continuous movement into your workday with this under desk peddler. *Standing desk sold separately. Please note, the Solo is only compatible with a height-adjustable desk. 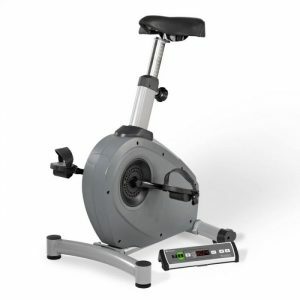 With limited assembly required, the pedal exerciser is effortlessly rolled into place so you can begin exercising while you work. 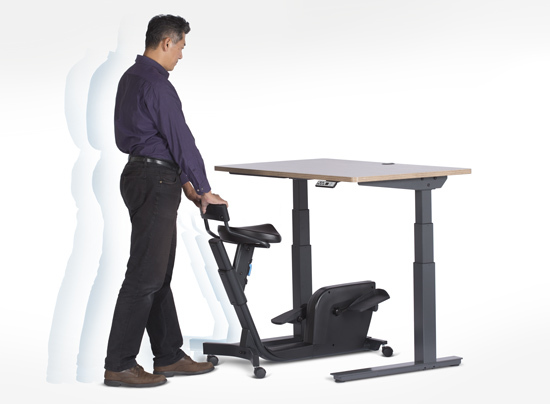 The under desk peddler can be placed under most standing desks, height-adjustable desks, and communal tables. If you wish to rotate between pedaling and standing at your desk, simply roll the bike out of the way and continue working again in just seconds. Powered by you. The Solo has no batteries to replace or power cords to stumble over. Simply position the bike anywhere you would place a traditional chair and start gaining the health and cognitive benefits of pedaling while you work. 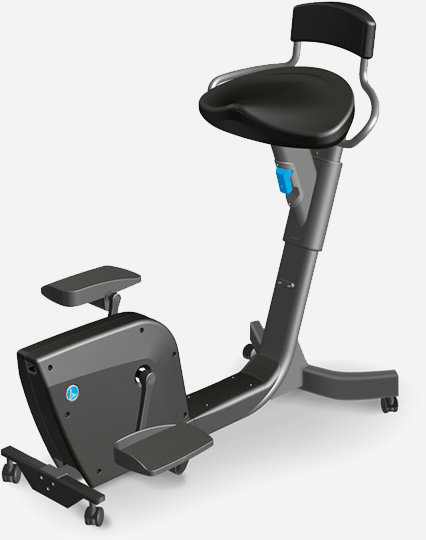 Comfort starts with a large contoured seat designed to distribute your weight over a large surface area – more like an office chair than an exercise bike. The seat height can be adjusted over a 7″ range, with eleven positions, fitting users ranging in heights from 4’8” to 6’6″. Next, to accommodate a variety of shoe types and sizes, the pedals are almost 9” in length, supporting a large portion of the foot rather than just the ball of the foot. Finally, the pedals are placed further out in front of the seat than a traditional bike, reducing knee movement and placing your feet in a more comfortable position, more consistent with working at a desk.